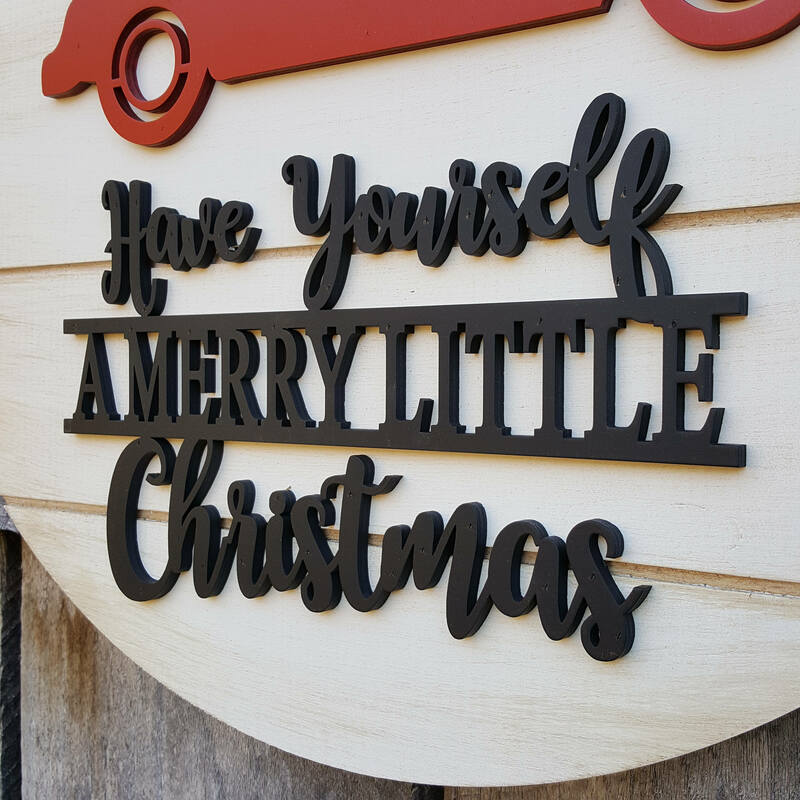 What a fun way to add Christmas cheer to any space! 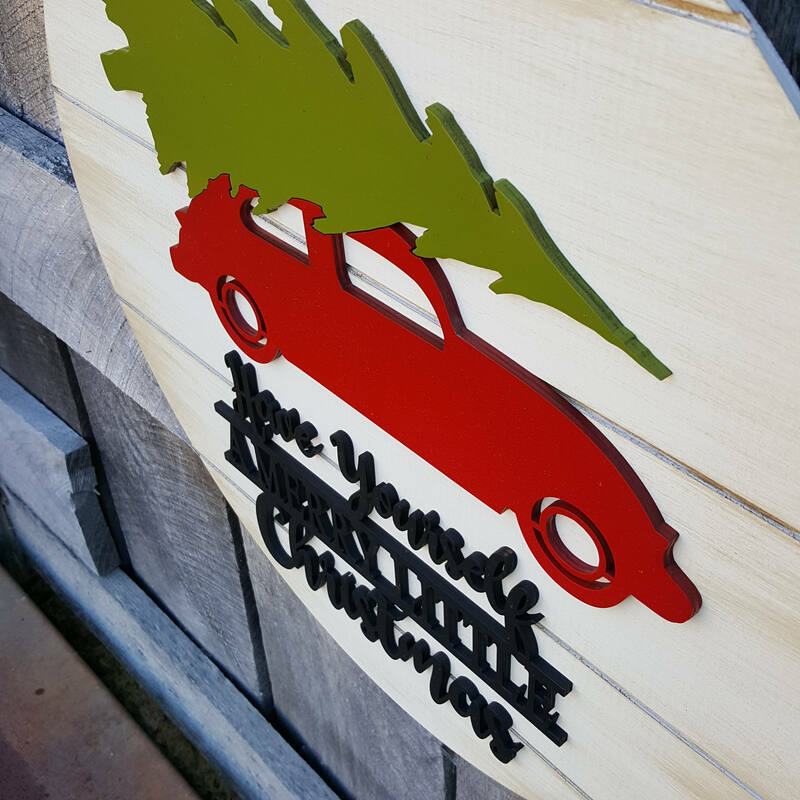 We've layered a red Volkswagen car with a bright green Christmas tree on top to our distressed shiplap circle. 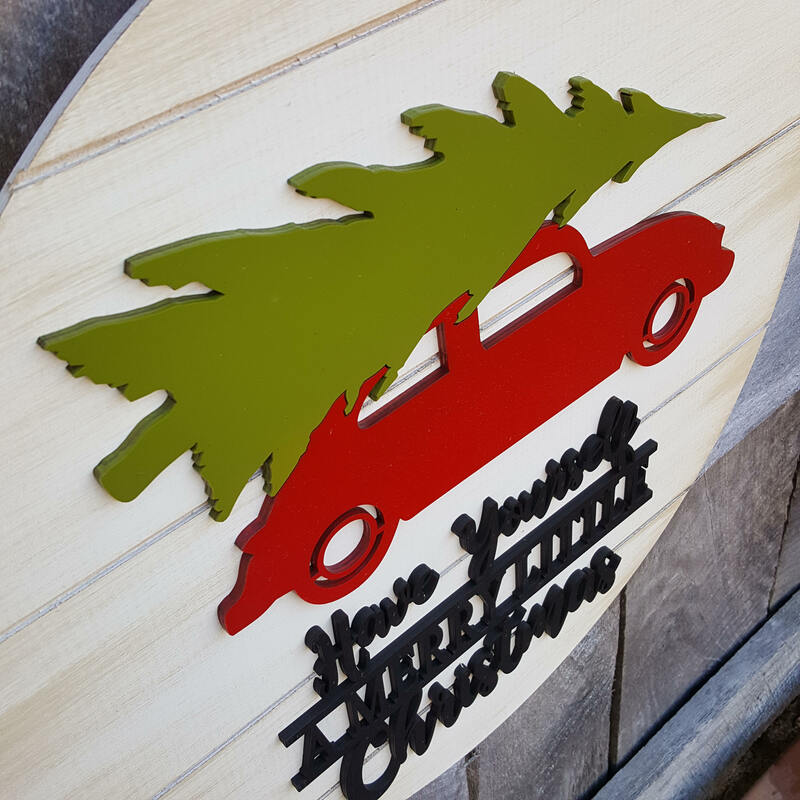 The design is accented with the words "Have Yourself A Merry Little Christmas" in black. Each of the separate elements are nailed to the background piece with small nails for a secure hold. 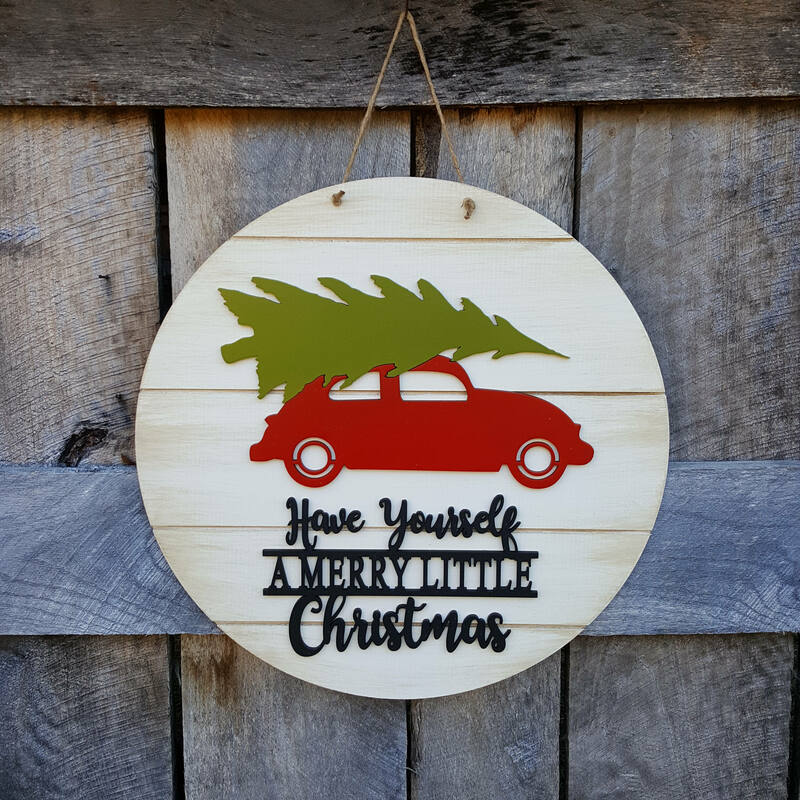 My husband is a Volkswagen enthusiast, so this is the perfect addition to our holiday decor. It makes me happy every time I walk by it! It is exceptionally well-made and will last forever. Thank you so much!